Looking for a way to get accurate heart rate data on the run without having to wear a chest strap? Garmin is finally coming out with a wrist-based monitor, and so far all the feedback we've heard has been good. 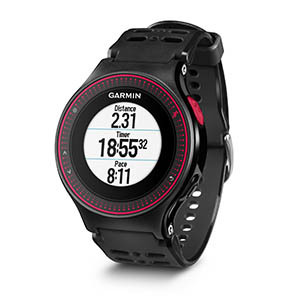 The Garmin FR 225 uses an optical sensor to detect the pulsing volume of blood flow at the wrist and give an accurate measure of heart rate. In addition to GPS and heart rate, the 225 also offers activity-tracking technology similar to what is offered in the company's Vivofit, Vivosmart, and Vivoactive watches. The FR 225 is scheduled to arrive later this month. Call us at 919-832-8275 or 919-977-1516 to reserve yours today!